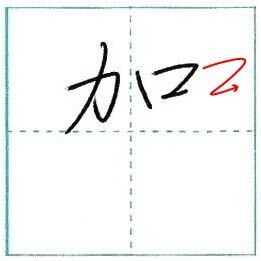 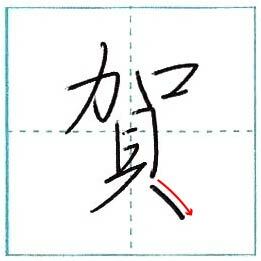 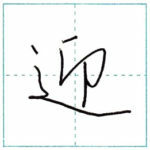 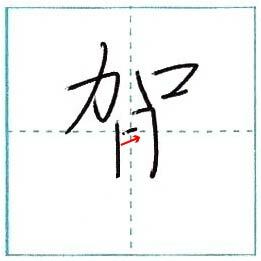 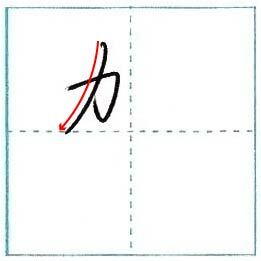 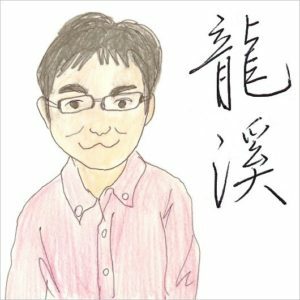 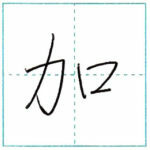 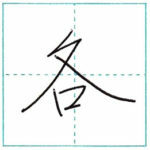 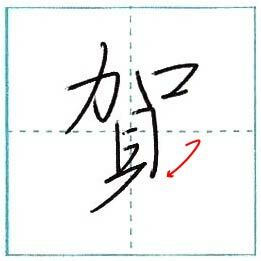 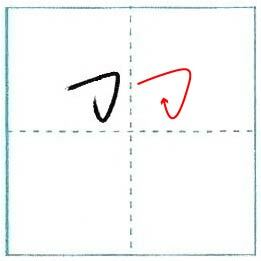 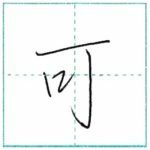 This time is 賀(ga) in semi-cursive script. 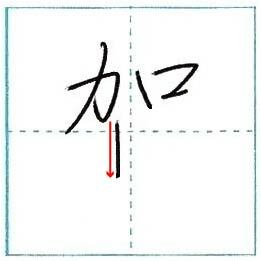 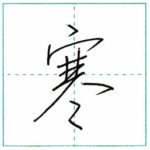 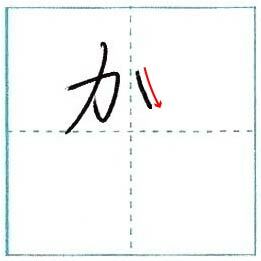 賀詞(ga shi) means congratulatory message and it’s often used for New Year’s card. 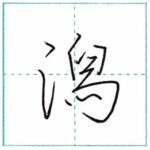 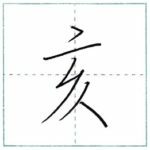 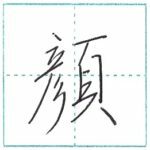 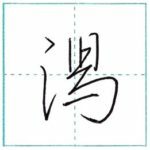 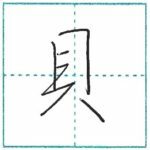 Here are examples of 賀詞(ga shi) with kanji 賀(ga) and they all mean Happy New Year.